SURIGAO CITY, Surigao del Norte, Mar. 21 (PIA) - Aside from the awareness campaign activities this Fire Prevention Month, the Office of Civil Defense (OCD)-Caraga, together with the Department of the Interior and Local Government (DILG), Philippine Atmospheric, Geophysical and Astronomical Services Administration (PAGASA), Mines and Geosciences Bureau (MGB), Philippine Institute of Volcanology and Seismology (PHIVOLCS) and Philippine National Police (PNP), is also intensifying the conduct of capacity-building activity for disaster prevention, mitigation and preparedness involving the youth in the province of Dinagat Islands. According to OCD-Caraga regional director Liza Mazo, the youth have a very important role to play when it comes to disaster risk reduction and preparedness. For the young participants, they also wanted their opinions to be heard during the stage of DRRM planning. 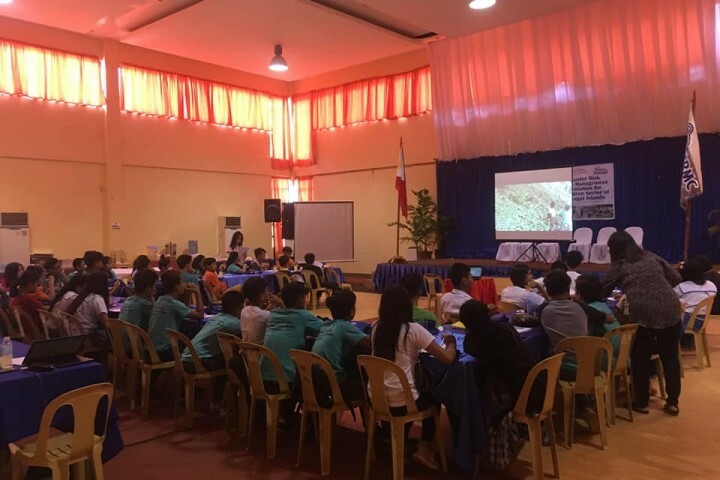 “As a young earthquake drill evaluator of San Jose, Dinagat Islands in our province, I have learned many things in my journey from the elementary and until now from the DRRM orientation, trainings and activities that have been imparted to us. With these, I could share my experiences and knowledge to my fellow classmates, friends, families, teachers and especially to my community,” said Shanniah Vega, student of Don Ruben Edera Ecleo Sr. Memorial National High School. 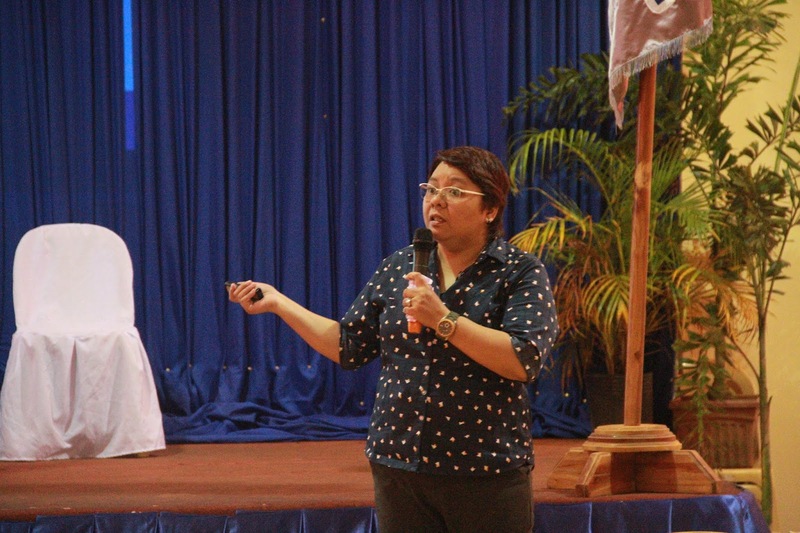 Diana Lim, head of the capacity-building and training services of OCD-Caraga, presents to the participants the overview and objectives of the DRRM orientation held in Dinagat Islands, Surigao del Norte. In time also with the Women’s Month Celebration this March, the OCD-Caraga also conducted the same DRRM orientation in the province of Surigao del Norte participated in by the women purok officials with the aim of empowering and making them more resilient in times of disasters. capacity-building and training services of OCD-Caraga, these are just among the series of DRRM orientations for the basic society sectors that their agency intends to conduct in the region for them to understand better the hydrometeorological, geological and human-induced hazards, including the practical steps in implementing DRRM in the community. Meanwhile, Rosario Roxas-Alon, provincial DRRM officer of the Dinagat Islands, said the DRRM orientation is very helpful for the sectoral capacity development in their province. 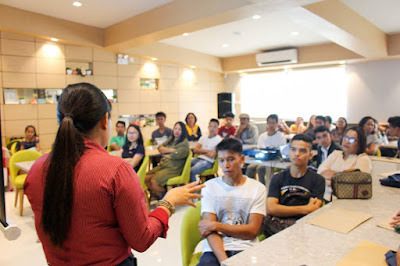 BUTUAN CITY, March 21 (PIA) – With the aim to prepare and assist Agusanons before and during disasters that might strike the province, series of trainings on disaster preparedness and response have been set by the provincial government of Agusan del Norte for the month of April this year. According to Erma Suyo, Provincial Disaster Risk Reduction and Management (PDRRM) officer, the PDRRM office in partnership with the Office of Civil Defense Caraga will hold a three-day Emergency Operations Center (EOC) training on April 3 to 6. Suyo said EOC is one of the disaster response tools that coordinate the actions of different groups by blending their complex organizational structures, its staff to manage information, and mobilize resources in anticipation of and/or to support incident operations. Also, on April 8 to 10 a three-day Training of Trainers (ToT) on Camp Coordination and Camp Management (CCCM) will be conducted. The CCCM is aimed to provide life preservation and meet the basic subsistence needs of affected population in the province of Agusan del Norte based on acceptable standards during or immediately after a disaster, she said. 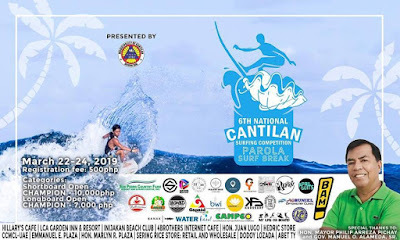 CANTILAN, Surigao del Sur, March 21 (PIA) – The local government unit of Cantilan this province is all set for the 6th Cantilan National Surfing Competition on March 22-24, 2019 in Cantilan town. 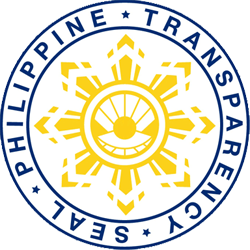 The second-class municipality headed by Mayor Philip Pichay will host the event supported by Governor Manuel Alameda Sr. 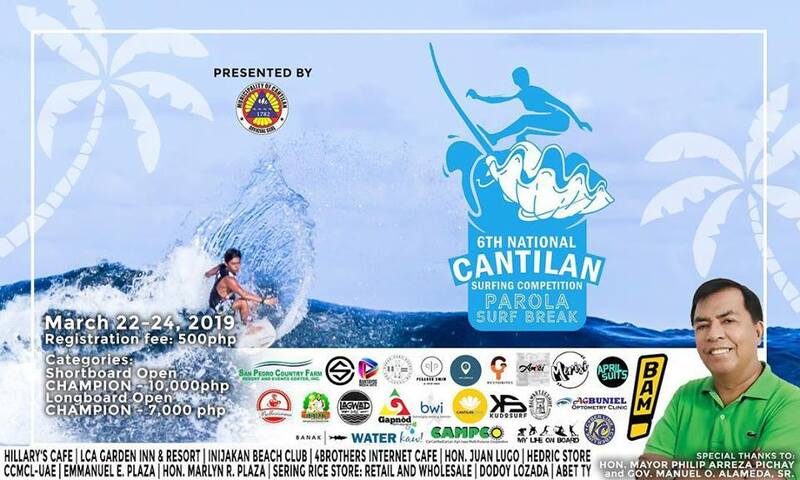 The activity aims to make Cantilan as one of the best surf sites in the province as well as in the Philippines. The event has two open categories to compete: the Short-board; and the Long-board with a grand prize of Php10,000.00 and Php7,000.00, respectively. Online registration will be accepted via email at cantilansurf@gmail.com. The participants are requested to state the complete name and category they wanted to belong to in the competition and wait for the reply from the organizers for the details of the payment. The organizers also encourage all participants to bring their own tents or hammocks, including their own tumblers. BUTUAN CITY, March 21 - “We need to strengthen our human resource in science and technology now that we are moving towards the 4th industrial revolution,” Department of Science and Technology- Caraga Regional Director Dominga Mallonga said. 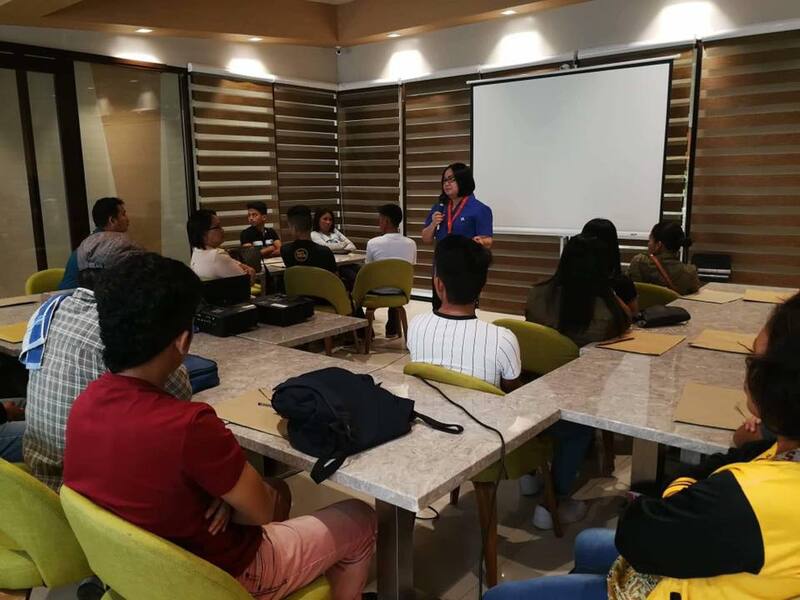 Mallonga spoke with pride before the 16 new Junior Level Science Scholarship program (JLSS) 2018 qualifiers with their parents from Agusan del Norte during the Orientation and Scholarship Signing at Watergate Hotel, Butuan City on February 28 . “We need more engineers and researchers, especially in agroforestry and mining industry. We need your help in government initiative to promote manufacturing and digital convergence among academe, industry, businesses and other processes,” she said. She highlighted that the Science Education Institute (DOST-SEI) is in full support to talented and deserving students who would like to pursue Science and Technology courses and careers. Mallonga is hoping to expand the reach of DOST scholarship programs in the region. “We also have the DOST S4CP or Science for Change Program which can help regions in capacity-building and industry competitiveness,” she added. S4CP is a DOST effort in accelerating Science, Technology, and Innovation in the country thru massive investment in human resource development and R&D. Jerome T. Remadar, a new JLSS scholar and third year BS in Geodetic Engineering student from Caraga State University (CSU), said that he felt the need for more scientists and engineers in the region. “I like working with hazard maps. I even want to work with Geo-safer Mindanao after graduation. In that way, I could also help with disaster preparedness in communities. The scholarship is a big help for me to reach that dream,” said Remadar in an interview. Geo-safer Mindanao is a DOST-funded project in CSU for geo-informatics. 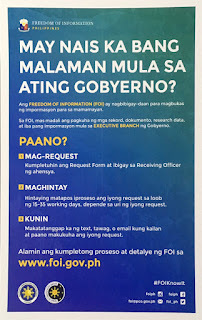 In Caraga region, a total of 43 out of 90 applicants who took the exam last October, 2018 qualified for JLSS. Aside from the qualifiers from Agusan del Norte, there are 15 qualifiers from Agusan del Sur, eight from Surigao del Norte and four from Surigao del Sur who signed the Scholarship Agreement with their parents and were also oriented with the scholarship policies. Scholars will avail privileges such as book allowance, transportation, graduation clothing, monthly living allowance, group health and accident insurance, and fund for other school fees.